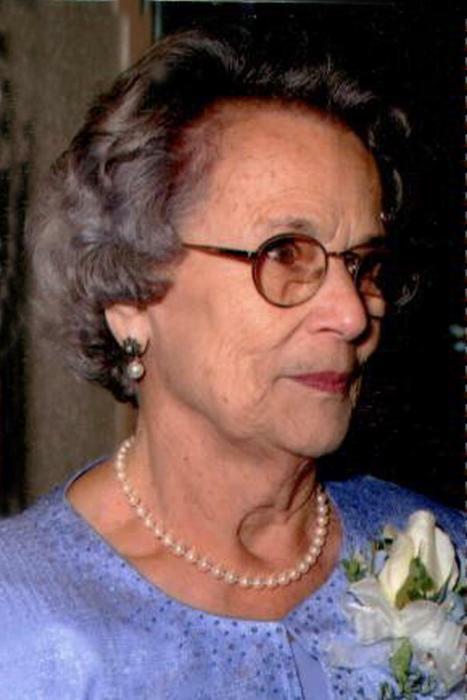 Florence (Jaros) Meli at the age of 91 passed away peacefully with family at her side at her winter home in Sun City, Arizona on March 23, 2018. Florence will be missed and forever cherished by family and friends. She was a beautiful, smart, and wonderful person. She will be lovingly remembered by her daughter Sandy Forrest Campbell (Gary), Champlin, MN, and her step daughter Cheryl Meli Julkowski (Richard), Robbinsdale, MN, half-sister Ann Kitchen, Hibbing, half brother George Jadron, Chisholm, grandchildren Shannon Thell (Ben), Christopher Campbell (Jennifer), great-granddaughters, Brittney, Grace, Teresa (Tess), Catherine, Elizabeth, Mary, great-great-grandson Zander, cousin, Virginia Johnson, Hermantown, MN, and numerous nieces and nephews. Family was always an integral part of Florence’s life. Her faith and spiritual life were important to her. She was a member of the Church of the Immaculate Conception and the last member of St. Margaret’s Circle. Florence was preceded in death by her parents Sophie Jadron and Stanley Jaros, her husband Jim Meli, first husband Donald Forrest, brother Andrew Jaros, sisters Antoinette Collier Muir, Rose Akin and Pauline Sonaglia and step father John Jadron. Funeral services for Florence will be 11:00 am Saturday, April 7, 2018 at Immaculate Conception Catholic Church in Hibbing, MN with Rev. Fr. Gabriel Waweru celebrating the Mass of Christian Burial. Visitation will be in church one hour before Mass. Interment will be in Maple Hill Cemetery of Hibbing. Arrangements are with Dougherty Funeral Home of Hibbing.